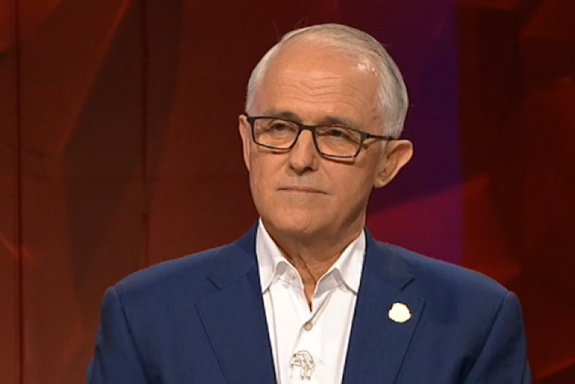 The well-balanced, nuanced, articulate and commendable accuracy—albeit with only accomplishments writ large—in the ex-prime minister’s (pm) appearance on the ABC’s Q&A special edition as part of New South Wales Festival of Dangerous Ideas programme on 8 November, 2018, was exceptional only in that the ex-pm was able to contain his incandescent rage at those that unseated him (read: kicked him out of office). It should also be noted that Mr Turnbull also kept insisting that though he is ‘retired,’ that does not exclude him from making a comment about his ‘brilliant leadership,’ and the aforesaid ‘accomplishments’ therein. Nor should an ex-pm be excluded from the debate as a free and opinionated citizen in the liberal-democracy of Australia—all should have their say outside of the shackles of slander and smear in a robust democracy. Was it just me, or did others get the notional understanding that Malcolm Turnbull is in the nascent phase of being a ‘comeback kid’? The once ‘Honourable’ Malcolm Turnbull wants the title back! This was his first go at establishing what will be a fast and furious transition to Minister of Parliament, although a few things will have to happen first. The most important ‘thing’ to happen is that the Honourable Bill Shorten wins the next election and within this happening there is a ‘blowback’ within the Liberal Party and its ‘rusted on’ voters. The demise of Ministers Abbott, Birmingham, Cormann, Dutton, Hunt, Seselja—or at the very least, a significant plunge in their popularity—and several others such as Craig Kelly and Nigel Scullion and other ‘faceless men’ (that term sounds familiar), will have to take place as this will segue into Turnbull being ‘invited’ back to the ‘sensible centre’ of the Liberal Party; and the Liberal Party per se. Where will this mysterious invite emanate from and will there be enough constituents in the area concerned to vote for Turnbull because he is well … the one and only Malcolm Turnbull. What has to happen is the revenge-vote has to come to the fore and the constituents concerned will want to send a message, to the Honourable Member Shorten and paradoxically, the Liberal Party as well. Who will it be and what seat will it be? Subtleness is the key here, and more to the point it will have to be like a hand-pass in Aussie Rules—seamless, a small move and able to help someone else kick a goal, something for the greater good. From then on it is Malcolm who will be kicking goals all the way back to the prime ministership. Turnbull has this as his ultimate goal after last week’s Q&A, and he knows time is short but he does have the sympathy vote in hand; a large portion of the Australian public thinking he is ‘PM material;’ and he is still young enough to pursue this avenue. And theoretically, if Shorten makes a hash of it then he only has four or so years to wait—and as it stands there is a dearth of talent in the Liberal Party—especially ‘leadership talent.’ This is perhaps Turnbull’s greatest weapon within the Liberal Party. Where will he go and what will he do to achieve this? Casting an eye over the Liberal Party and their seats as well as their ‘rusted on’ supporters one can be forgiven for thinking that the Honourable Karen Phelps might be the first to have her seat removed as Liberal Party people remove a person who was a blip on their political radar. This is however, unlikely as to vote someone else in instead of Malcolm is tantamount to being traitorous to the cause, whereas voting in Phelps was not traitorous, it was a reaction—it was voting out the Liberal Party not voting Phelps in. This happened in the resurgence of the Labor Party in Victoria after the mind-boggling horrors of the Kennett years in Victoria, it wasn’t that Bracks was particularly great, it was he was so vastly more in touch with the people of Victoria that he would ‘do.’ Out with Kennet, not in with Bracks and the other ‘99ers’ as they were called. So, who will give up their seat in order to place Malcolm in a robust conservative position with a strong middle-of-the-road sentiment? We have to go to the old stomping ground of Bennelong where they were willing to give a radical new-age thinking a go and an articulate woman a chance (Maxine McKew). After they realised what they ‘had done,’ they returned to lackadaisical ‘everything will be fine,’ ‘no need to panic,’ run-of-the-mill political mainstream—the Honourable John Alexander. This is where Turnbull’s greatest opportunity is, a solid Liberal seat that doesn’t want to venture into the unknown again, (because it was obviously quite scary to have an articulate woman in the job), yet it offers unlimited opportunity for another go at the prime ministership—and who in this seat would not be begging for a change from the humdrum of the current incumbent? Turnbull and his advisors must be looking at Bennelong and their mouths must be watering, a seamless transition, a ‘rusted on’ group of voters and the chance for these ‘aspirationals’ to have a prime minister in their midst. And whats more, it wouldn’t cost Turnbull a cent (unlike his last grab at the job), he would just majestically reappear—the first step in his new Aussie ‘bloke having a go’ at what is rightfully his; and should never have been taken away. Don’t underestimate Turnbull’s ambition; or his rage. This article was originally published on Geo-Strategic Orbit. Strobe Driver completed his PhD in war studies in 2011 and since then has written extensively on war, terrorism, Asia-Pacific security, the ‘rise of China,’ and issues within Australian domestic politics. Strobe is a recipient of Taiwan Fellowship 2018, MOFA, Taiwan, ROC, and is an adjunct researcher at Federation University. The views expressed in this article are his own. You make a pretty good argument for the resurrection of this most conflicted man. A progressive in banksters garb. But Turnbull’s record is one of failures and timidity. I doubt the party will have him – whatever is left of it when it collapses. I think Shorten will be PM and will usher in a new era of politics. Great article Dr Driver! Trying to list ANY of Talkbull’s “achievements” (?) whilst PM is rather difficult! Although he “claims” the voting of gay marriage etc, he really was not the one who wanted this to be discussed or even voted on. Apart from that all the “work” he had done as PM was to help all his obscenely wealthy mates. He lost every weekly newspoll re how the Libs were going, for an an even longer time than the Rabbott did! He contributed out of his own pocket well over a million dollars to bolster his popularity. He persisted with the atrocities of Manus Island & all the other concentration camps his mob created. He did not want a Royal Commission into the banking/finance industry & finally reneged when he could see no other avenue left to him. He did absolutely nothing for the working people of Australia, only for his bloody wealthy mates, And the list goes on! So, NO, I do not think he should make a comeback to try & get the PM job again, besides which he has alienated a large percentage of his party & probably the bloody Nats as well. Good riddance to yet another inept, lying, right wing, flat earth so-called “liberal”, in my opinion! He also denied many Australian’s the opportunity to have a decent fibre to the premises NBN- a very significant infrastructure upgrade from old copper wires – just to play politics when Communications Minister, and there is no way we can hold him to account for this monumental mixed technology stuff-up. A decent NBN and landline phone are key to me being able to collaborate in scientific projects with NASA JPL and other northern hemisphere specialists in astronomical research, given my optical observatories located at 42 south, the most southern in Australia. At least with my previous ADSL 2 and a working landline-I was in with a chance. Turnbull was merely the third victim of the RWNJs led by the Mad Monk. No Prime minister will survive long until the MM is put in his rightful place, and I do not mean returning him to the position of PM. That Turnbull would score a second resurrection is fanciful. I agree with what has been said, Turnbull was inept about near-everything and was atrociously inept at being a forthright PM and completely humbled by his party and not in a good way. For some bizarre reason, he still commanded some weird, whimsical, ‘I can one day be as rich as him,’ quasi-respect which seems to percolate through Australian society. I too, hope that Shorten ushers in a new age of confidence in each other, rather than hoping the wealthy will come to terms that the ‘trickle down effect,’ actually works and the greed that was rampant through Howard’s policies ends and which have beset Australian equality so badly. Once, I looked at the evidence though, I saw him have a weird strike at getting back to where he was, the ‘I have been usurped and the Australian people love the underdog’ mantra. I agree Turnbull having a third go is fanciful, though when I saw his determination last Thursday it went (in my politics-soaked head) from possible to probable. Never underestimate Turnbull and his greatest asset Lucy. Remember Menzies was in and out of the cold before his dead hand suppressed Australian economic development between 1949 and his retirement in about 1966(?). Little Johnnie Flak-jacket Howard had three bites at the cherry before he betrayed Costello and went on the ruin the Australian roost from 1996 to 2007. The recent swings and roundabouts activity in the ALP are more likely to be the CIA keeping Australian politics unsettled for their own advantage. Yes, Strobe, you make a credible case for Malcolm to return. I mean, which other leaders are there among the Liarbral Party self-serving misfits and self-indulgent egomaniacs?? Never ceases to amaze me how the Liberals, Nationals and their leaders trumpet their “great” achievements, yet when you look in hindsight there was little to nothing achieved, and what achievements there are, are mostly abject failures or destructive, that is by tearing down or blocking other’s successful achievements. Howard to this day is still lauded over his supposedly great achievements, but when you actually look at the policies he implemented and his leadership you find a litany of long-term failures. With the aid of the MSM, the only great thing the LN-P achieve is pulling their own pud. I wonder if Turnbull will seek a place in the Senate to unleash his parliamentary future? I also wonder if he wants the million dollar donation to the LNP to be returned, with interest? Turnbull was far from accurate in his enumeration of his ‘successes’. People writing here have listed what he claims to be ‘success’ and have shown that his ‘brilliance’ as a PM is delusional. He was a lawyer and a banker, but he lacked political nous and he demonstrated this simple truth numerous times. There is a lengthy ladder to climb for him to get back to the top and the longer it takes, the more he will be reminded of his failings and delusions. He will not like it – but that is the reality. Many people were relying on him and he let them down. That he knifed Abbott, when the Party said it would not do that, is only part of the story. He revealed his own frustration in his indecision, arm waving and loud shouting. Like the puppy dog, he chased the car but when he caught it, he did not know what to do with it. Professor Joseph Stiglitz today criticised the economic notion of the “trickle-down” benefits of tax cuts for big business in a revealing speech to the National Press Club. Trump copped some flak as well. And now we hear big companies here in Oz are seeking a carbon tax. Malcolm Turnbull would probably win Wentworth if he stood in 2019 or after. But it is doubtful if even a decimated moderate middle of the road Liberal party would consider him as anything but a liability as a potential leader. Lucy Turnbull on the other hand …… strong willed, manipulative, politically amoral, despotic, without scruple and a darling of the privileged….. a multi-millionaire Bronwyn Bishop with better connections and influence. She could lead the divine righters back to power in 2022. Bill Shorten and his well intentioned fumblers need the intellect and resolve of Whitlam to clean up the mess and when they fail abysmally they will be Campbell Newmanned. Disappointed in Stiglitz today. Not so much in what he said (no disagreement there) but more with his presentation and obvious lack of preparation. A bit insulting and an opportunity missed. But then again we are just bit players when it comes to the world stage. What was it that Keating used to say about a souffle not rising twice? Turnbull initially bought his way into Wentworth with his own money because he wasn’t backed by any factions and lost his Party leadership because of his poor judgement. It was more poor judgement and performance that lost him his Prime Ministership and no matter how hard he tries to boost his “legacy” has also left behind a trail of bad decisions and failures. I can’t imagine the Liberals would seriously consider taking him back and he would never run as an Independent because he would have no power. I think it’s time Turnbull left the stage for good and left to rest to deal with the consequences of their own actions. Guest: Not sure Professor Joseph Stiglitz speech was that revealing as all this stuff has been going on for 20 years in this country and longer in the USA. I guess people are now slowly catching on to what is happening and the reasons. if what Stiglitz said has been said in this country for 20 years, why is no one paying attention with more effect? Look at what happened to Emma Alberici, for example. Look at the denier waffle in the Murdoch media as it sets out to protect neo-liberal divine rights. yes you could say Stiglitz did not present well, but it was obvious that he was thinking about answers to big questions and he had limited time. If he had peeled off smooth and well-planned rhetoric, there are those who would have said he was glib. As for ‘just bit players’, I think Stiglitz knows very well what an obfuscated and compromised political scene we have here in Oz. I hope you have not given up. Guest! Despite what legend has it Australians don’t like to complain or rock the boat. Or they are too busy or dumb. And it’s all been done so surreptitiously that most people don’t notice. John Howard was brilliant at it. Slowly now the right messages are getting through to the masses. Well hopefully. I thought ‘rocking the boat’ is exactly what Australians did. Except that some 50% of the population regard themselves as ‘conservative’ and there are a few swinging voters who might make a difference. As for ‘surreptitiously’, enter Hanson, Howard and the Tampa Affair and racism and lies became the norm.Then we had Abbott and a whole litany of lies so that the truth became unrecognizable. So in more recent times we had front benchers reverently handling around and caressing lumps of coal under Turnbull’s very eyes. The deleterious effects of Murdoch I have mentioned – but few people really challenge publicly the propaganda of that foreign entity. The old conservative set is ageing and in decline. The whole idea of every person for him/herself, Self Help, no welfare etc is an old C19th idea. Stiglitz commends the idea of collaborative action, as does Naomi Klein – and of course the Labor Party and the Greens.